This morning I was so busy that I didn’t take time for breakfast. By late morning I was starving, but I’m counting calories and didn’t want to overdo it. What to do, what to do? I decided I do brunch. And frittatas are perfect for brunch. I’m also eating a high protein diet at the moment, so I thought a frittata would be perfect. I love frittatas but tend to eat too much when I make it. Yes, individual frittatas are perfect for portion control. I can refrigerate them for up to 3 days, or even better, freeze them and just get out what I want for breakfast, brunch, or just a good protein snack after my workouts. I also love sausage. Yum. And Jimmy Dean Sausage Crumbles are becoming a staple in my home… check out my Bow Tie Pasta with Jimmy Dean Sausage Crumbles in a Tomato Cream Sauce I made a few weeks ago. They’re already pre-cooked so all you have to do is add them to your favorite recipes. Can you say, “Time-saver?” As a busy mom, I can use all the time saving I can get. 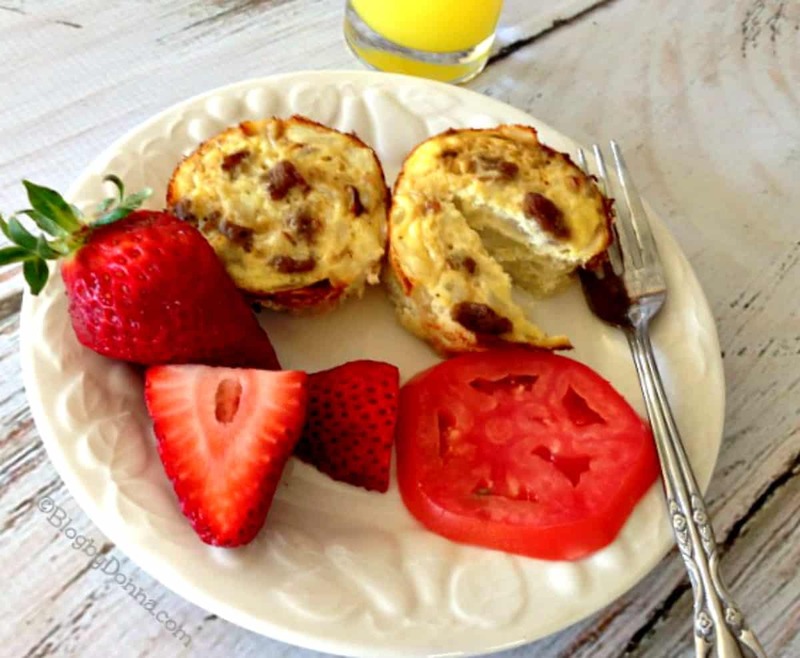 Okay, back to the frittatas…. With the eggs and the sausage, I’m getting a good source of protein. My favorite frittata recipe is very basic, because oftentimes, I think less is more. I want the flavors of the ingredients to shine and the marriage of eggs, sausage, potatoes, and onions are divine together. By the way, do you know what makes a frittata? It’s potatoes. If you don’t add potatoes, it’s a quiche. Preheat oven to 350 degrees F. Spray 18 muffin cups with cooking spray. 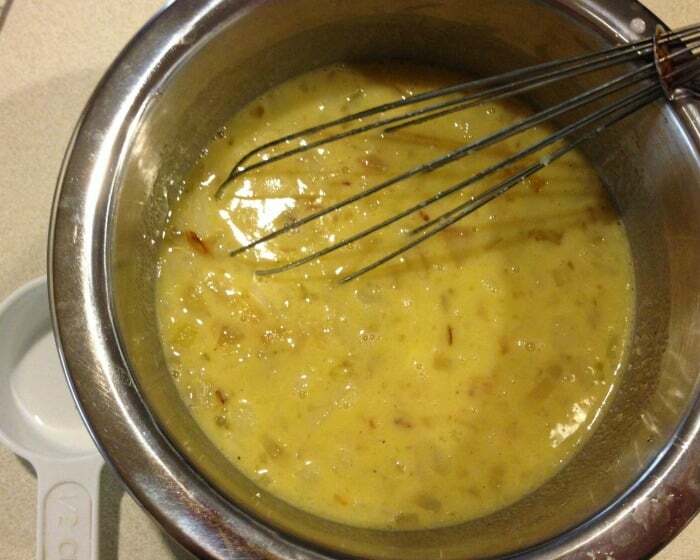 Heat butter in a skillet over medium-high heat; cook and onions until softened, 5 to 10 minutes. Thinly slice potatoes (I used a mandolin) and add them to salted boiling water and boil for 10 minutes. Whisk eggs, milk, salt, and black pepper together in a bowl. Mix cooked onions and Jimmy Dean Sausage Crumbles into egg mixture. Spoon about 1/4 cup mixture into each muffin cup (you can also add the potatoes on top of mixture instead of the bottom). Bake in the preheated oven until frittatas are set in the middle and lightly browned, about 20 minutes. Since I’m watching what I eat, I used skim milk, but you can substitute your favorite milk and you can saute the potatoes in a little olive oil if you like. It’s great that way, but since I’m cutting down on calories any way I can, I boiled mine. 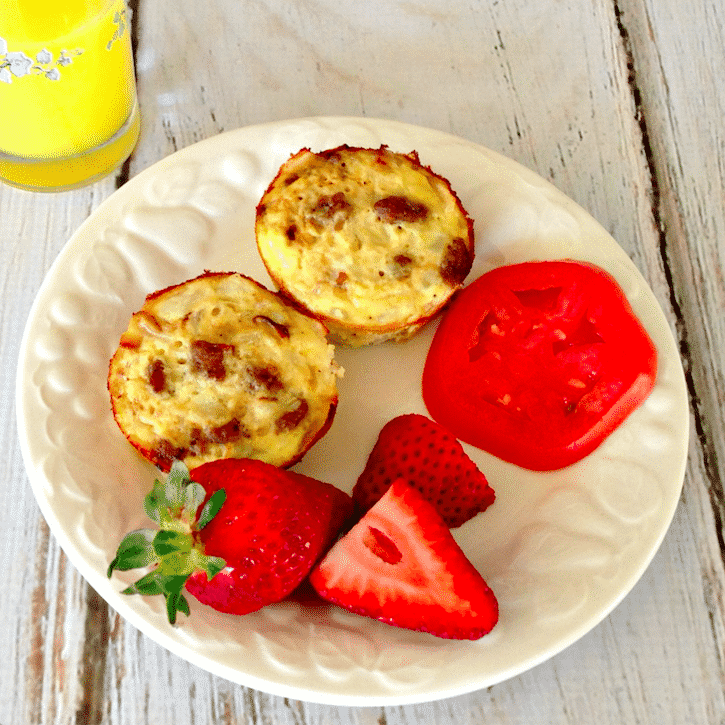 I enjoyed my Individual Frittatas with Jimmy Dean Sausage Crumbles with a slice of tomato and a few strawberries. It made the perfect brunch. I’m quite sure that my husband will love this recipe! Yum, yum. I bet these would be good to add to my morning omelet. YUM! Oh how i love some Jimmy Dean! Best sausage other then fresh from the farm. I’d add the crumbles to my breakfast casserole recipe. i would add them to pizza or even a omelet would be great. The recipe you posted sounds awesome as well. These would be a great addition to some breakfast burritos! We love breakfast here!! I’d add these to my breakfast burritos. I would add it to an egg and hash brown scramble with vegetables. Sausage Mac ‘n Cheese brunch!! I would add it to make Sausage and Egg Breakfast Burrito. My Husband would put it in his stuffing recipe. I would like to try it in my egg and sausage casserole! I would love to add it to my scrambled eggs along with mushrooms and cheese. This looks delish and is perfect for a grab an go breakfast. I would like to make this into a meat sauce, add sauteed onions and peppers. I would put it over pasta. Girl, that looks so amazing!! I wouldn’t mind trying this! Mmmmm, looks so tasty. The entire family loves breakfast for dinner and we love Jimmy Dean. I would like to use them to make some breakfast burritos with egg and cheese. Those look like a great idea! My family would love them. I would make a cheese and sausage pizza with onions, green pepper, mushrooms, and olives. Wow! I’ve never seen a recipe like this. Definitely giving this a try! Is it freezer friendly? Mmmm…. my kids would totally love these. I wonder if I could make some, freeze them and reheat later? That would be awesome for me to make for my husband’s lunches! He eats on the go but since those are individual he could totally take a couple & eat them in the car. It’s awesome to add to my Thanksgiving stuffing for a nice zing. We are big into making our own pizza right now, and one less step (frying up sausage) would be awesome! This is so clever! 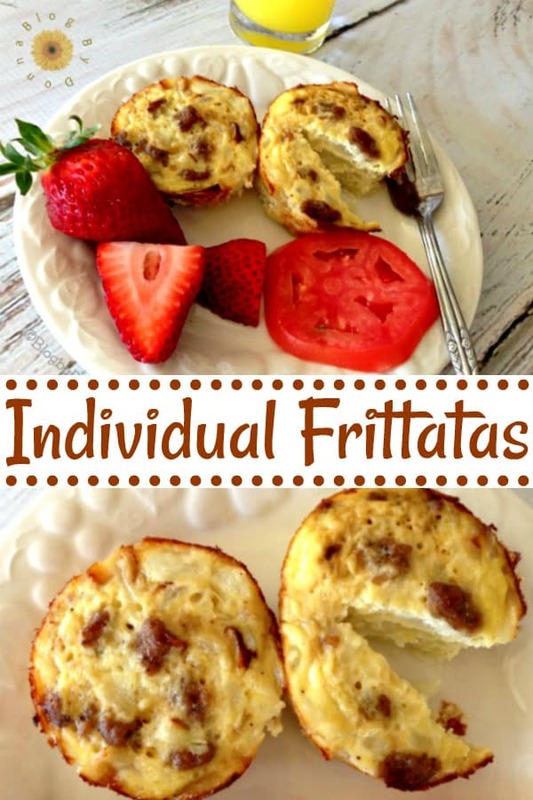 I love the idea of individual frittatas, it would be perfect for a brunch party. I would add Jimmy Dean Crumbles to biscuits and gravy. Sounds delicious! We use scrambled eggs , cheese, onions, tomatoes , mushrooms and Jimmy Deans sausage for a delicious omelet for our special breakfast. Egg burritos is the most obvious choice, but also I would like to add them to some cornbread. 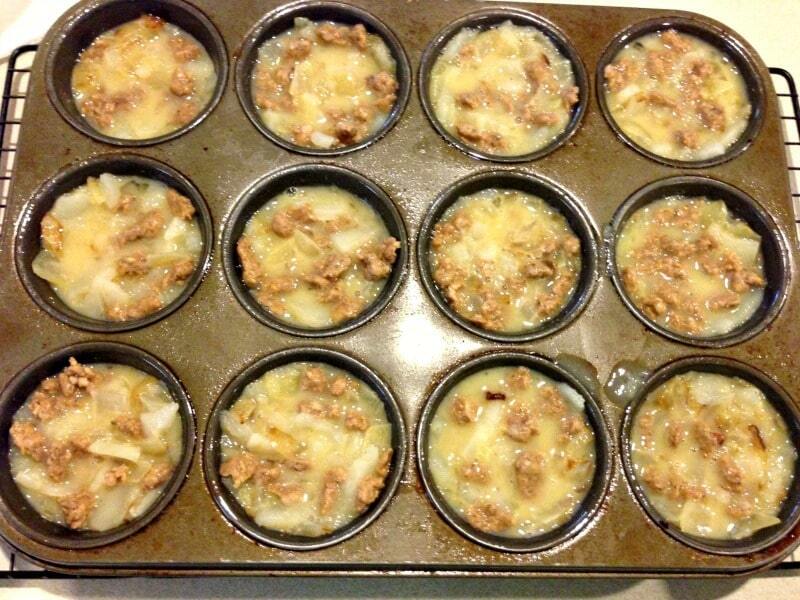 We add ground beef and cheese to corn bread and the kids love it, Adding sausage would be a great breakfast option. We love these sausage crumbles. In fact, we make homemade breakfast burritos with them on a regular basis. I am not really good at eating heavy at breakfast but i would love to try this for a fun dinner! I think it would be good on pizza or in country gravy for a weekend breakfast! I would add these to my sausage gravy and biscuits. I would add them to my omelets and scrambled eggs. I’d like to add the sausage crumbles to my family lasagna recipe. Yum! These individual frittatas look so tasty. I’ll have to try this recipe out. These would be great to add to an omelette too. Yummy! I would like to add it in scrambled eggs with green peppers and onions! I would like to try this in my scrambled eggs. I’d ad the sausage to Biscuits and gravy, the best breakfast in the world! I would add Jimmy Dean Sausage Crumbles to my spinach, tomato and cheese omelet. 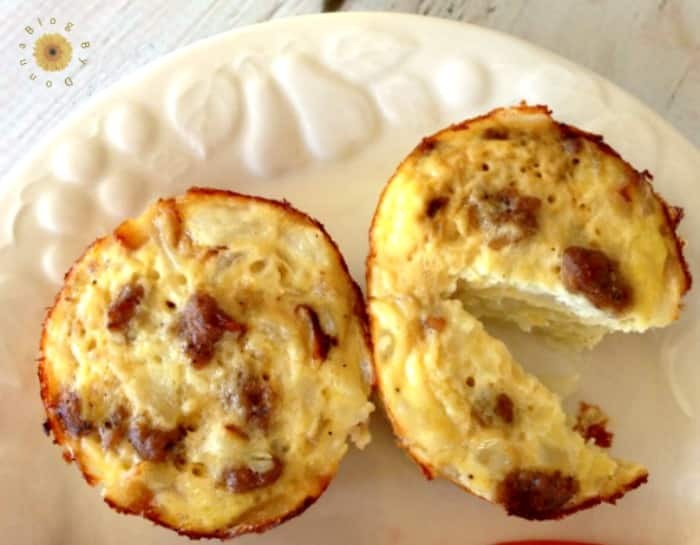 I would add Jimmy Dean Sausage Crumbles to my morning breakfast egg and cheese burritos. I like to add the Jimmy Dean Crumbles to sauerkraut and potatoes! Yummy these look really good, and easy! I am all about a quick breakfast each day! I’d put them in a scramble with eggs, mushrooms and fresh tomatoes. We love breakfast casserole, so this would be great in that! Makes it easier and faster to cook! Mmmm…just good ol’ sausage patties are good since we rarely eat them. I also like this quiche that has crescent rolls on the bottom and then egg, cheese, sausage. I love Jimmy Dean! They have the best sausage and this looks delish. I love individual size food like this. Great idea! I lovelovelove this idea! I’m going to make these tomorrow. I’ve been taking food over for my Dad since he got out of a nursing home a few weeks ago, and since I can’t be there 3X a day he’s been eating cereal for breakfast every day. But I can make these and figure out how long to reheat them and he’ll be set! I think it would be great added on top of cheese pizza. I think they would be pretty good on a meat pizza!! I’d love to try the sausage crumbles in my Sausage Spinach Cheesy Frittata. Oh I would love to use these in my spaghetti rice stuffed green peppers I make! Some nights are so busy to brown the hamburger and all…oh this would be a perfect substitute! I would use the crumbles to make breakfast burritos or biscuits and gravy. I’d like to add it to egg muffins or an egg casserole. I make a killer omelet that sausage crumbles would be ideal to add to for an added boost! I would add it as a pizza topping along with pepperoni and roasted red peppers! I would love to try to make a sausage, egg and cheese sasserole. I’d like to add the sausage crumbles to a breakfast burrito. I would add the sausage crumbles to a western omelet. I woould make biscuits and gravy! Yes simple but so good – nice sausage gravy and fresh biscuts cant be beat! I would love to add the Jimmy Dean Sausage Crumbles to an omelette! I would use Jimmy Dean Sausage Crumbles in my famous Breakfast Burritos. I would like to add Jimmy Dean Sausage Crumbles to a homemade pizza. I would love to add it to the rice and beans I make. That would make it even yummier… Mmm, getting hungry now. Hmm these sound delicious! Can’t wait to try them! Where in the recipe do you actually add the potatoes???? Hi, Mickey, it seems as if I left it out of the directions. Thanks for bringing it to my attention. I edited the post. I also love making frittatas with just eggs, potatoes, and onions, in a cast iron skillet. I’ll make one soon and put it on the blog. Thanks for stopping by! Hope you give the frittata a try!